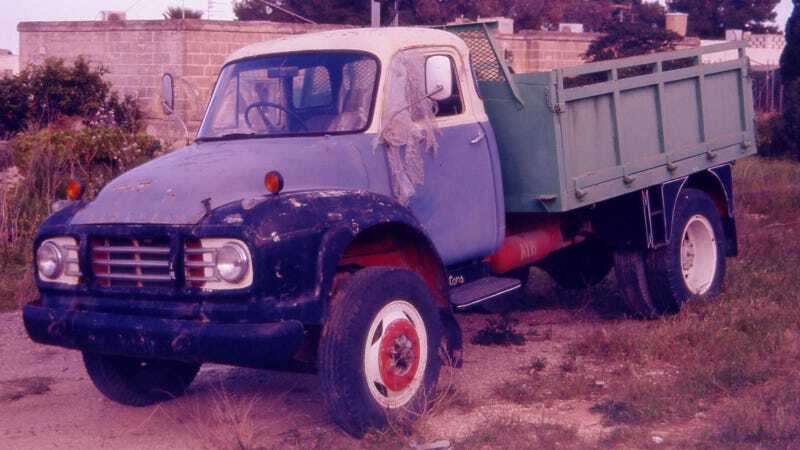 This is a Bedford Vehicles J Series, circa late 1950's. The J could be had with a petrol or diesel engine, and was primarily sold as an export from England to developing countries due to its simplicity. Formed around 1930, Bedford was the truck subsidiary of Vauxhall. The first models were called "Chevrolet Bedfords," named after the English county in which GM's Luton manufacturing facility was located— Bedfordshire. The "Chevy" part of the name was quickly dropped and Bedford became a defined truck brand. The Bedford name and assets were sold in the late 80's to a company called AWD Limited who built upon the platforms to make large military vehicles, but the company didn't last long. It was bought again by an outfit called Marshall SPV shortly after, who supply military vehicles to the British to this day. Wikipedia claims Bedford was GM's most profitable venture "for several years." I'd love to hear any opinions on that from people who know these trucks.